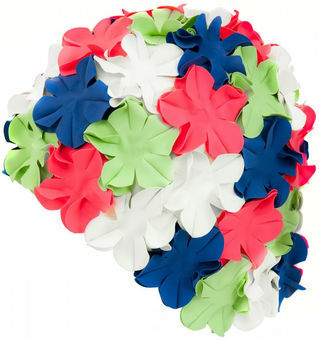 Add some retro glamour to your pool look with this new colourful petal cap from Aquaspeed. BLOOM rubber cap is a real eye-catcher. Its foam rubber seal provides good fit, yet the cap is roomy and comfortable – perfect for users with longer hair. The thick rubber material the cap is made of, as well as air-filled bubbles on the cap, mean that this piece of headgear is warmer than a standard cap, so it can be used in open waters and outdoor pools.